During our second year of commemorating of the War of 1812, the 2013 CLA Fund Raising Auction promises to be another significant event. Twenty-five generous CLA artists have stepped forward to create their art and donate it to be auctioned at our Annual Meeting and Show on August 17, in Lexington, Kentucky. Everyone is in for a real treat. Not only will you be getting an advance preview of the 2013 fund raising auction items here, but you will have an opportunity to get to know these artists, learn a little about them and how they created this fine array of items for the auction. Individual works will be added to this site as they are received, so visit often to see these new exciting creations. Trekking across the Louisiana bayou two brothers rushed to get to the besieged port city before it was too late. Even though a decisive American victory had been declared, the pair was disappointed that the battle had ended and that they had missed the chance to share in its glory. The British had been “whooped”! 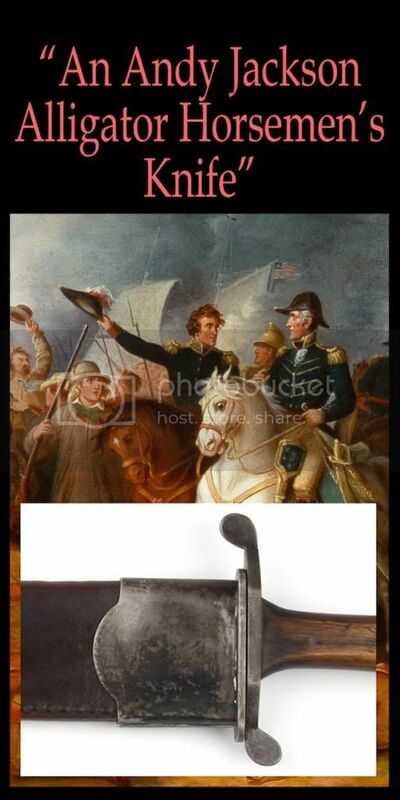 And though Jim and his brother Rezin had just missed it, the other “Half Alligator-Half Horse” men that had followed Andrew Jackson throughout the war of 1812 to its final battle would have been proud to carry one of legendary fighting knives that the Bowie’s would later make famous. In fact, the Bowie knife was arguably destined to become at least as famous as battle the Battle of New Orleans itself. Imagining Jackson’s men armed with such a formidable blade inspired the re-creation of this knife. Bladesmith Joe Seabolt has created a scale interpretation of the knife shown both on page #141 and the back cover of the book “Accoutrements II” by James R. Johnson. From its “false edge” clipped point to its hard wood handle, in basic size and shape this deadly side arm incorporates all of the characteristics normally seen on a classic Bowie. Although this style of knife is a little later than what Joe normally makes, it is one that he has wanted to copy for a long time and he thought the 2013 CLA fundraising auction would be the perfect reason to finally do so. Joe hand forged the blade from 1095 steel, and it is an impressive 113/4″ long by 13/4″ wide by 5/16″ thick. 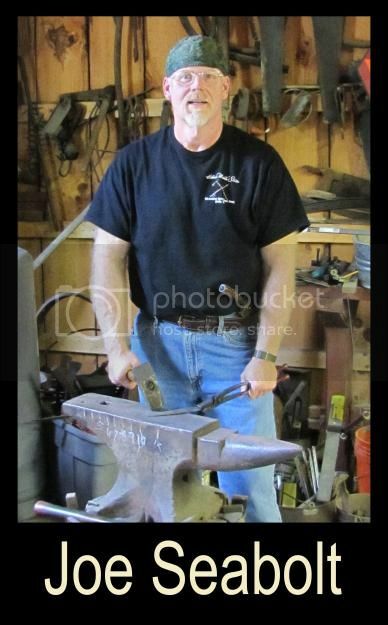 Also hand forged are the knife’s traditional “S” shaped iron guard and the matching iron sheath fittings. After forging, once the blade was tempered everything was painstakingly fitted and then carefully finished, resulting in another fine example of the authentic early American cutlery for which Joe is so famous. Every detail of the big knife and its custom fitted leather sheath has been taken into consideration; including the use of a hand selected billet of aged “old hickory” wood that was used to make the handle of this special knife that would have done “Old Hickory’s” men proud.